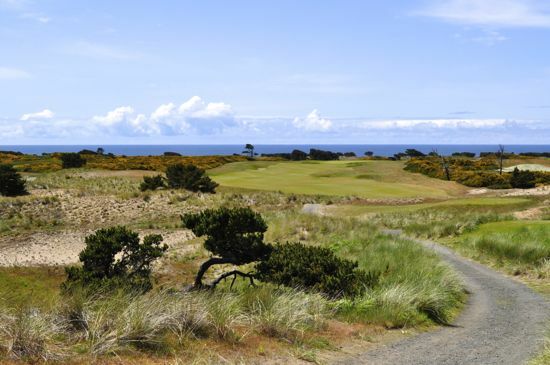 Bandon holds a special place among traveling golfers. It’s a mecca-of-sorts to many and a place that is hardly know of by others. 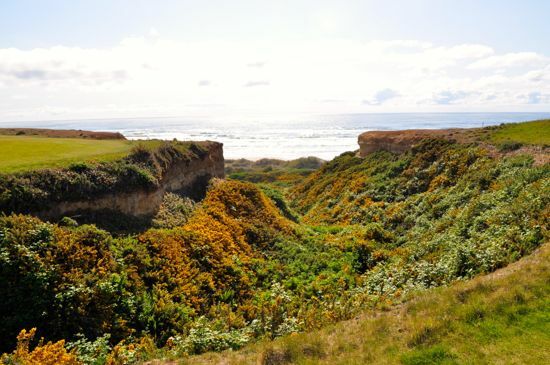 If people know of Bandon, you’ll likely hear them speaking highly of the resort and the courses. 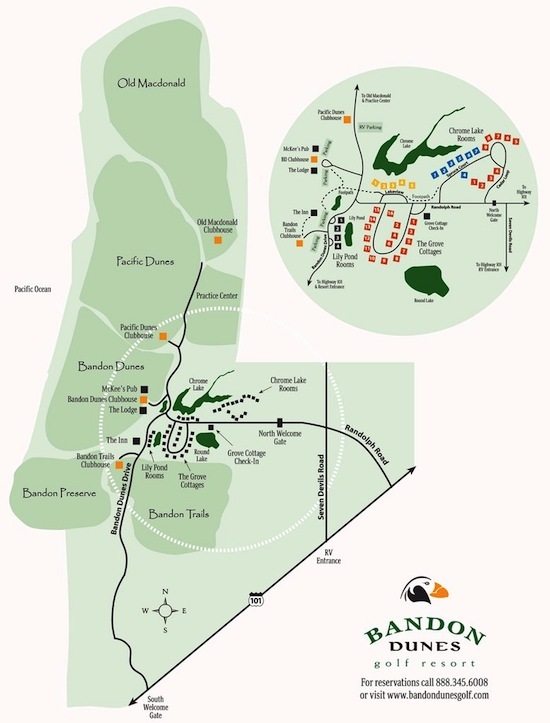 Most of the people that I’ve talked to that know of Bandon have also been there or are planning on going soon. I guess it’s just one of those trips that after you learn of it, you have to get there as soon as possible. 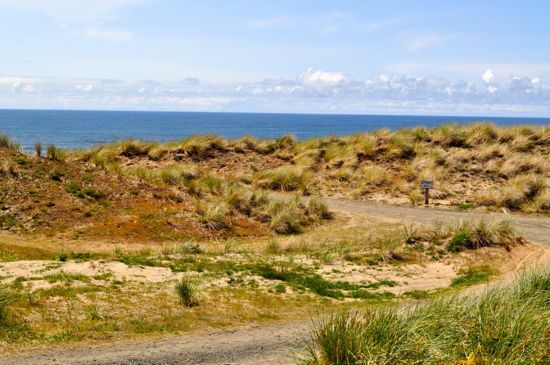 There are many great things about Bandon that I learned over the course of my three-day trip. 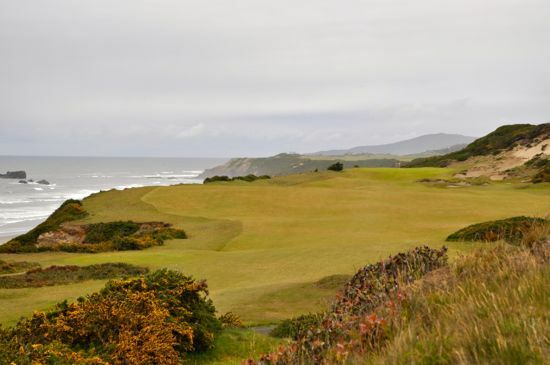 Everything from the journey to get to the resort to the little-known surprises hidden all over the grounds (the labyrinth in the woods, the Sheep Ranch, etc.) to the exceptional golf make the trip a wonderful journey of discovery. 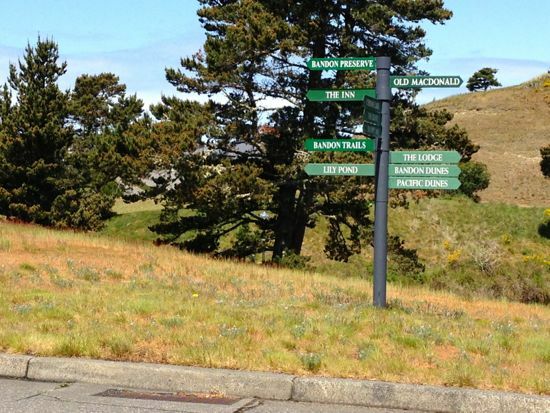 Getting to Bandon Dunes is not an easy trek. Although there are some smaller airports in the area, it’s more likely that you’ll fly into an airport that will leave you with a long drive to get to the resort. 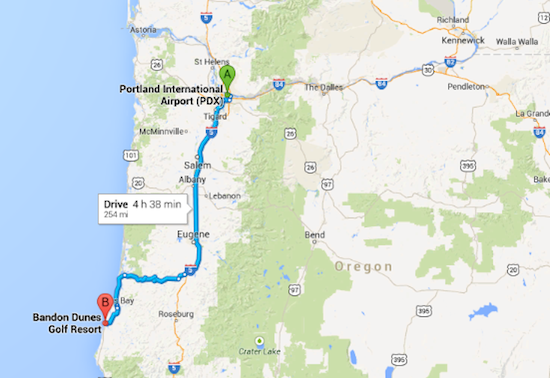 For my trip, it was around five hours of driving from the Portland airport. The resort sends a strong and welcoming message from the very beginning. This isn’t an exclusive country-club feel at all – it feels much more like a large casual gathering of friends. Every resort employee smiles, remembers your name, and is extremely thoughtful and helpful. 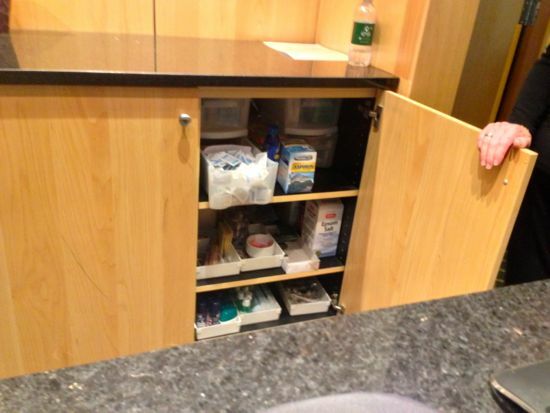 They even stock ibuprofen and band-aids at the reception area for when the 36 or 54 hole walks per day get to be too much. The accommodations at the resort are very nice and have a calming rustic feel to them. I stayed in the Lily Pond rooms and couldn’t have been happier. Although I stayed alone, the room was easily large enough to accommodate quite a few others. The room had a fireplace, a nice deck with quality outdoor furniture, and had easy access to the hiking trails and main lodge. The resort is extremely well-done. The people are great, the grounds are beautiful, getting around is very easy, and everyone there is happy. I’m not sure what else you could ask for in a destination golf resort. 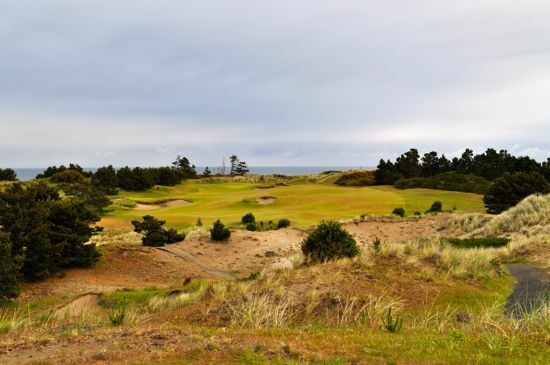 There are five courses available to play at Bandon and all of the full-size courses are ranked in the Golf Digest Top 20 Public Golf Courses in America (#3 – Pacific Dunes, #6 – Bandon Dunes, #12 – Old Macdonald, and #16 – Bandon Trails). 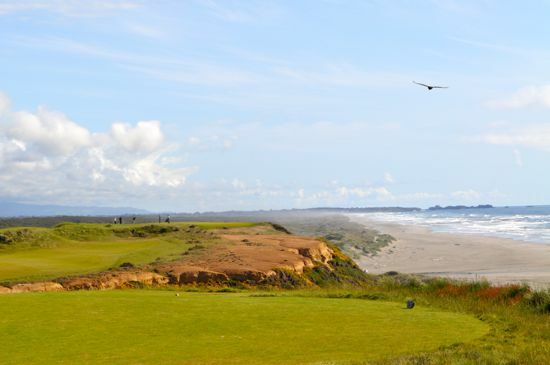 If you’re looking to get in an excessive amount of all-world golf in a short period of time, Bandon is an easy choice. 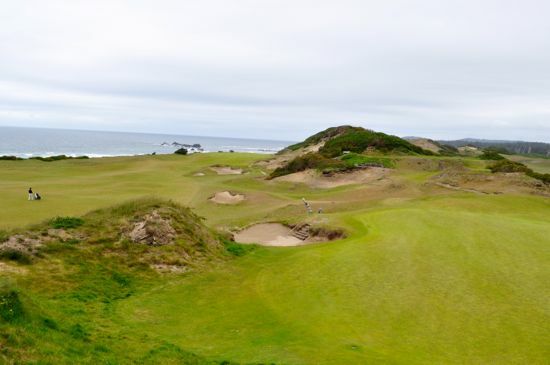 You’ll find plenty of opinions on the Bandon courses, but I’m willing to bet that you’ll rarely find a strong critique. 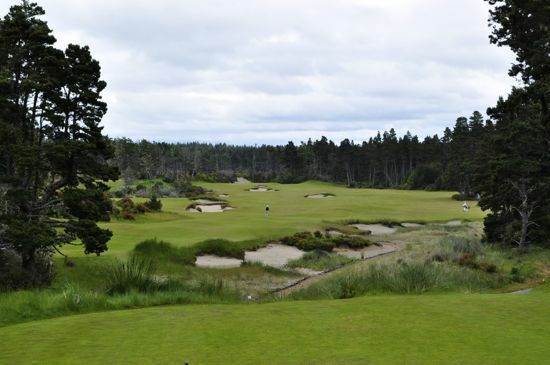 All of the courses have great personalities and all are fantastic in their own way. 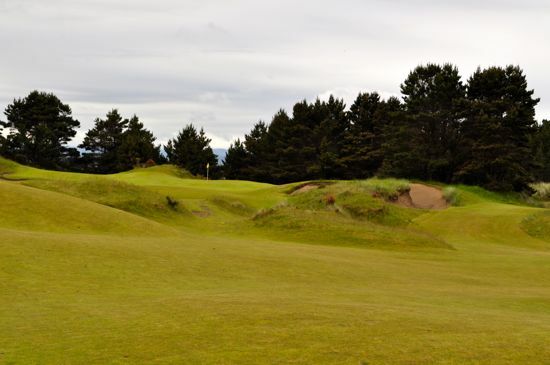 All of the courses have a minimalist flair and all play beautifully with their fast-and-firm fescue. 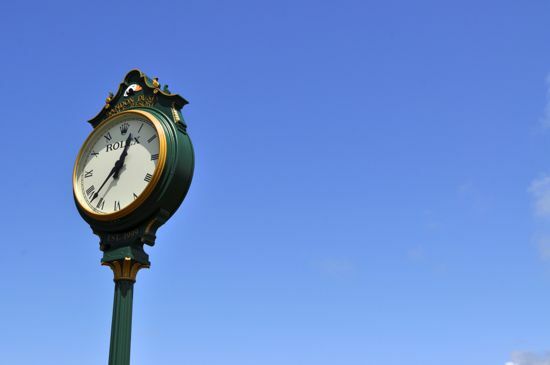 I’ve also noticed that it’s common to find a group visiting the resort where everyone will cite a different favorite course as they leave the resort – they’re all wonderful. The commonalities among the courses are that they are all excellent experiences. The architecture of each and every course is beautiful in it’s own way and it’s commendable that to play these courses, you have to walk. 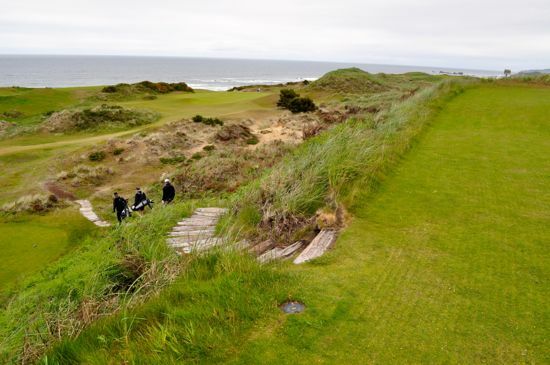 There’s nothing more exhilarating than walking these courses without a cart in sight. 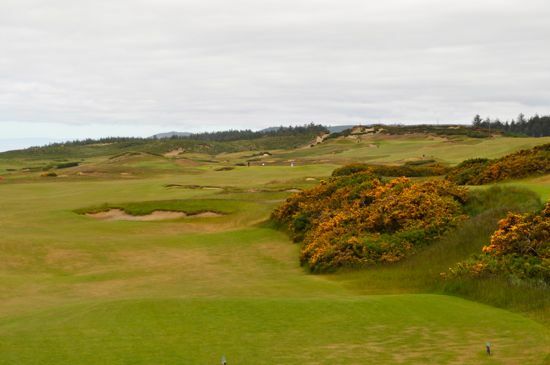 This is excellent golf and Bandon realizes that golf this amazing deserves the respect of being played on foot. It’s also worth pointing out that the majority of groups that you’ll see on the courses will have a caddie with them and that the resort highly recommends taking caddies with you throughout your stay. The resort will match you or your group with a caddie that will remain with you throughout the stay. Everyone that I talked with spoke very highly of their caddies and it’s clear that the caddie program at Bandon is world class. I could write story-after-story about the rounds that I played on these courses, but will spare you the details and encourage you to go make your own. 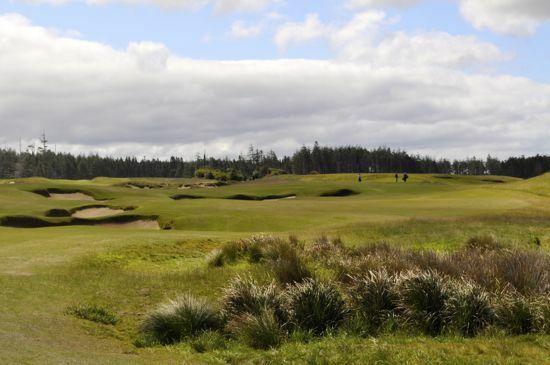 There’s simply no way to walk and play these courses without having a memorable series of experiences. 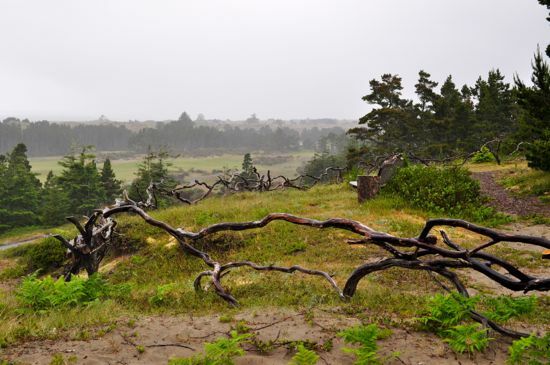 Even the high-winds and the occasional storm add to the excitement of playing these courses. 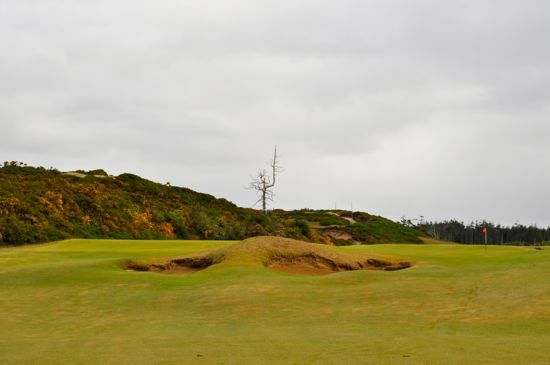 Bandon is a great story where strong desire, passion, and a love of links golf have all combined to build the perfect destination golf location. Everything about this trip left a huge smile on my face and I have memories of the trip that will certainly last forever. 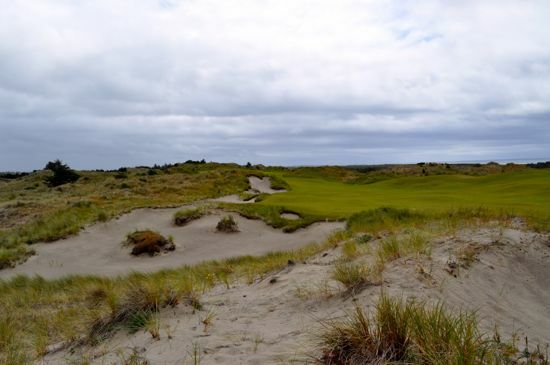 Bandon Dunes is a special place. I also want to make sure that I mention the book Dream Golf. It’s a wonderful book and the perfect book to read on that trek out to Bandon. There’s more to this resort than you’ll read in the golf mags and blogs and the events leading up to the creation of the resort make for a fantastic story. There are plenty more pictures of the courses that can be found on the Fresh Facebook Page and scattered throughout the Fresh Instagram stream. I played the Preserve, ‘only’ $100. Amazing course. I was lucky and was able to go alone, first thing in the morning. Just amazing. Would love to play the rest – especially alone.